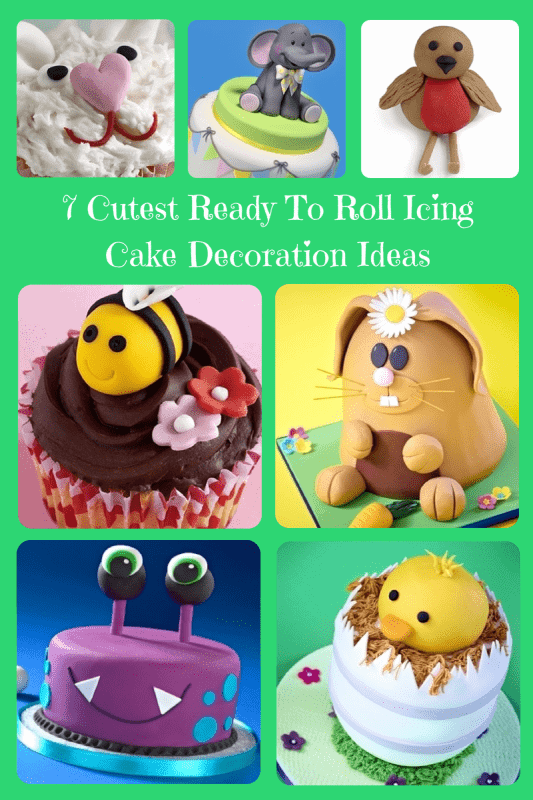 If you’re looking for inspiration for your sugar craft here are 7 of the cutest ready to roll icing cake decoration ideas. 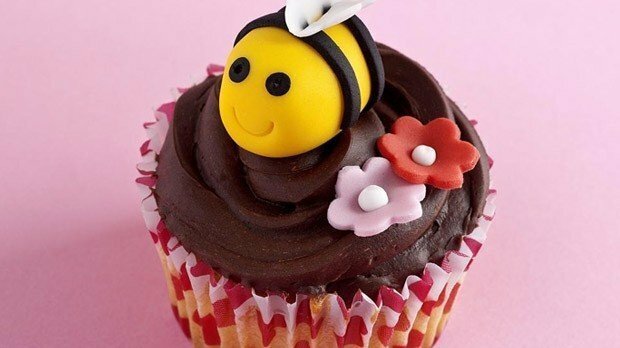 With all the flowers in bloom the bumble bees are out in force so why not celebrate with a cute ready to roll icing bee? These are easy to make, and with their bold colours they look perfect on a cupcake or you could add a swarm to a larger cake! From one end of the animal kingdom to the other. This ready to roll icing elephant is certainly a bigger project. Because of the size of this decoration you’ll need to use skewers to pin it together, dry spaghetti sticks work very well too. When attaching the trunk it’s important to support it using something like a small sponge until it sets in place. 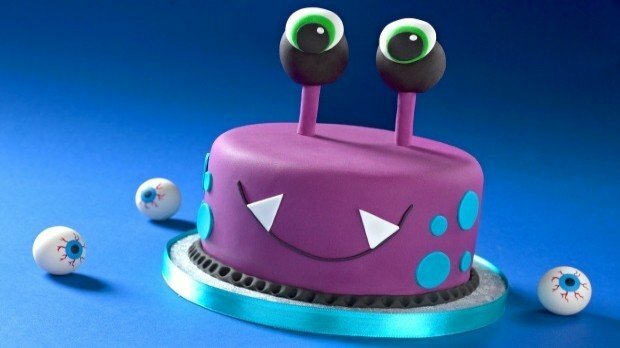 Perfect for a child’s birthday, this cake uses bold coloured ready to roll icing to great effect. The eyes are supported by dowels which you then wrap in icing, so be sure to warn people not to eat them to avoid broken teeth! 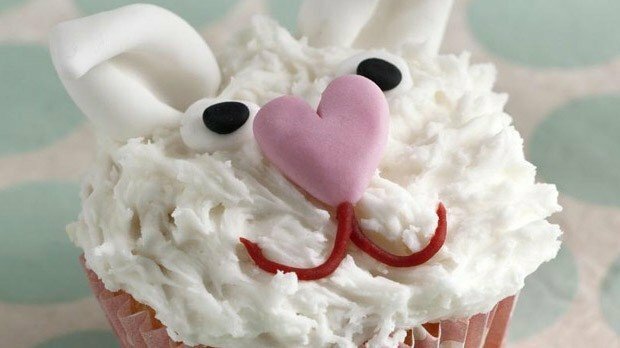 When using ready to roll icing for decoration it doesn’t have to dominate the cake, instead it can just provide focal points that draw the eye like on these cute bunny cupcakes. The ready to roll icing is used to create the face and sits neatly on top of the frosting topping. Sometimes working on this small scale can be fiddly but this cake uses simple shapes so shouldn’t pose much of a problem. Although the robin may be strongly associated with Christmas it’s a year round resident in the UK, so it should be incorporated in more than just Christmas cakes. 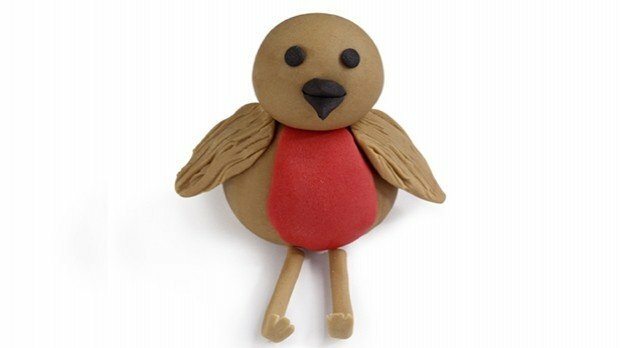 You can make this robin from ready to roll icing quite easily thanks to the simple shapes used. The head, wings, legs, eyes, beak and red breast can be fixed in place using cooled boiled water and the feathers can be etched using a small knife or other similar tool. If you fancy challenging your sugar crafting skills then this delightful cake involves ready to roll icing everywhere, from top to bottom. 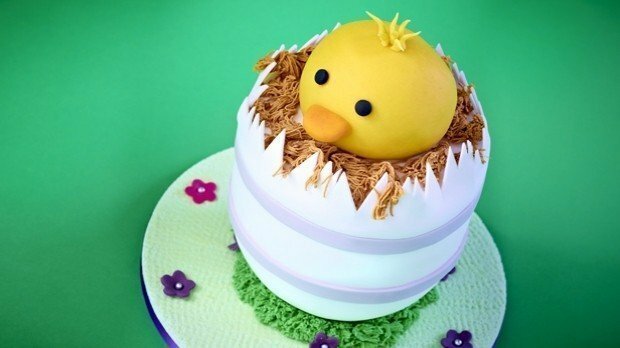 The chick is actually made from golden marzipan but its eyes and beak are icing as is the straw nest. To achieve that straw effect push the ready to roll icing through a garlic press. 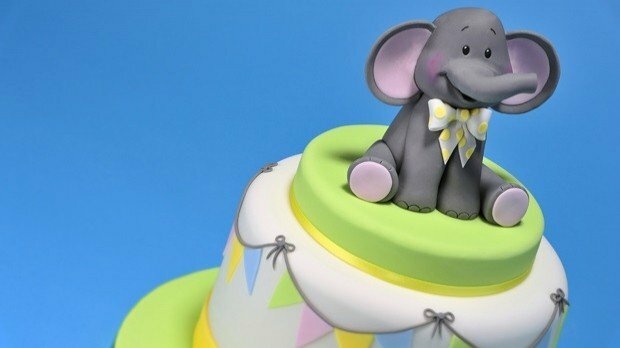 The trick to making this gorgeous cake look picture perfect is taking time applying the ready to roll icing over the cake to get a smooth finish. 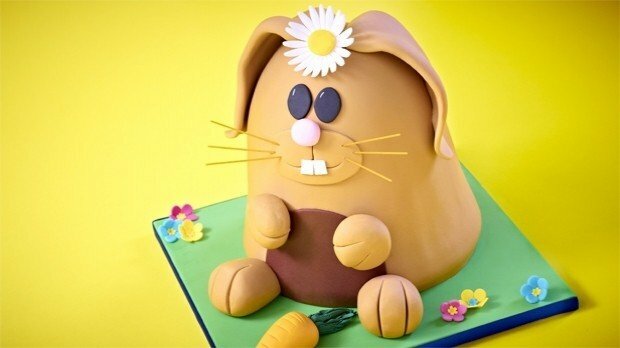 When you lay it on top, be careful to smooth the icing down carefully by hand. If you get any bubbles you can remove them by pricking bubbles with a pin. Insert it at an angle to release the air and you can then smooth the hole over with your finger and gently smooth the surface over. So for your next baking project, whether it’s a batch of cupcakes or a complex sugar crafting extravaganza, break out the ready to roll icing and get creative.